Full details for this thread are coming soon! Setting up a Discord Server to open up a chat for all questions. Will be integrated on the forums soon so sign up if you like! - Currently getting in contact with a few potential networks to overlook tech & more. Welcome to CurseCraft's new official website! There have been those dedicated toward seeing CurseCraft's return ever since it went down on day 1 over a year ago. This has not been an easy task. 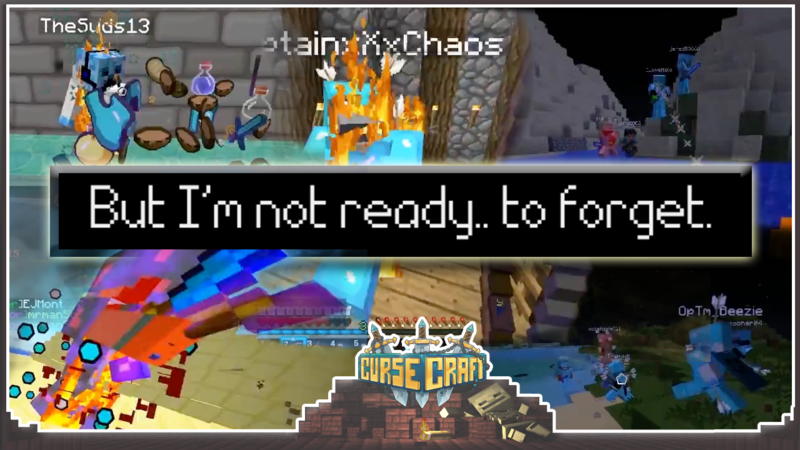 A lot has happened between then and now, but there have been those of us that have never backed down in giving CurseCraft a real future. Today though, I have some exciting news to tell you all. We are getting close in presenting a release date for the server. Yes, I know, it's taking forever, but we are moving forward with the server regardless. - Minecraft Usernames verified to join. - Different server's linked together within one universe. - Each server has it's own planet which can be rendered from other planets. All Ranks will be Global on CurseCraft. Ranks will be converted into Subscriptions with initial renewals applied to all old ranks purchased before 2017. Global Store Sales, Redeem Codes, Regular Giveaways, Special Event Giveaways, Milestone Giveaways, and much more Benefits will be given out to the Community of CurseCraft. The Revival Sale will be an opportunity for those trying to get a rank at a more than fair price. The Revival Sale for the server will last for 1-2 weeks. This will plan to be advertised by multiple content creators. (50% off Ranks.) plus possible Redeem Codes off that. That means an attainable (50%)+ off specific items in store categories.